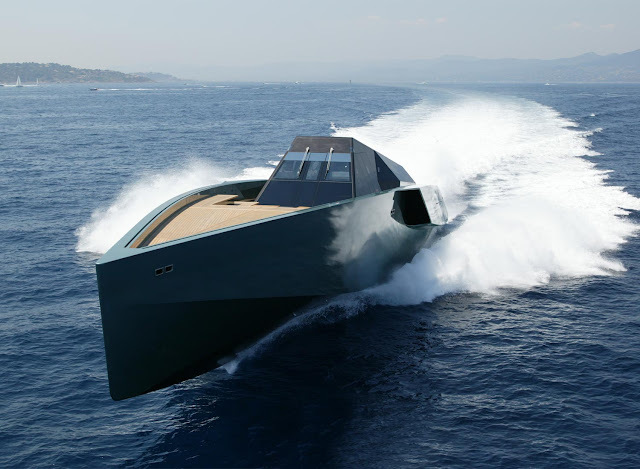 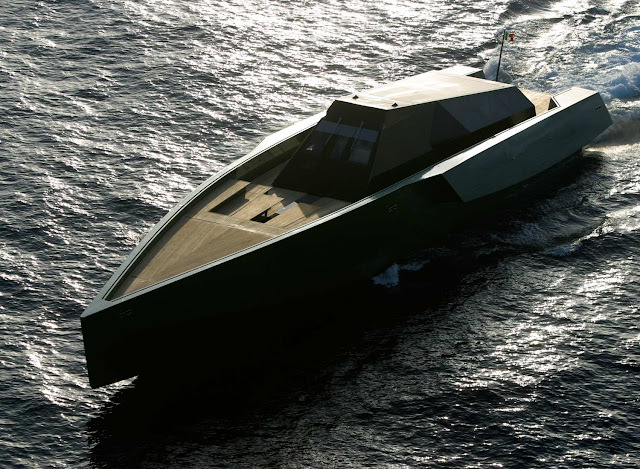 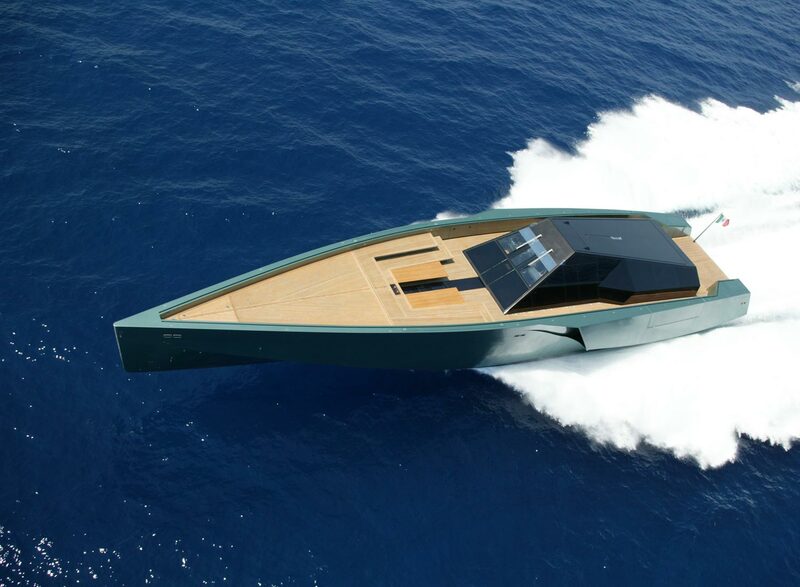 The world's fastest motor yacht means business: it is build like a veritable tank and cuts through the water at spellbinding speeds. As if this were not enough, it's monolithic silhouette shows it means business. 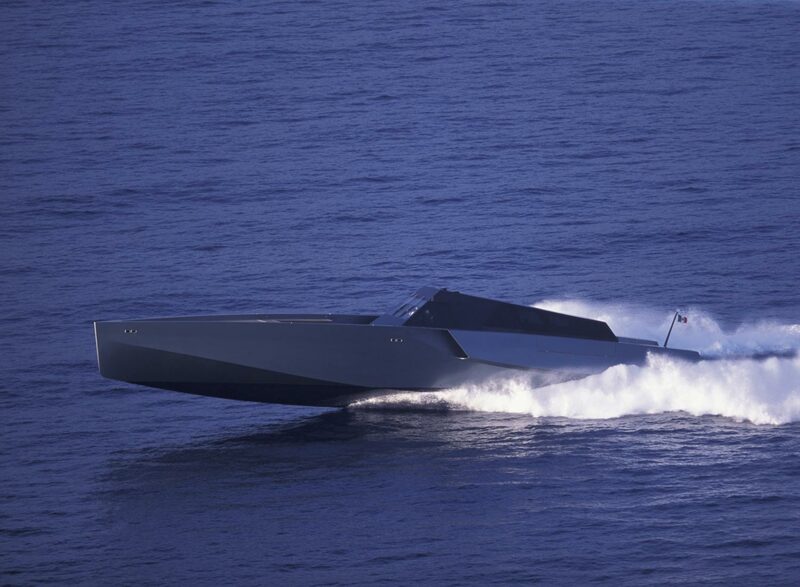 Its three gas turbine engines produce 17,000 horsepower, propelling it to more than 60 knots. 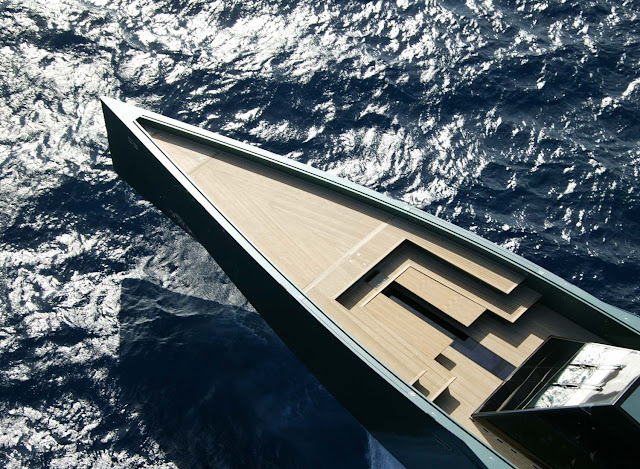 With its striking vertical bow it cuts through the water with unmatched stability and control so that even at high speeds the experience feels like riding a Maybach. 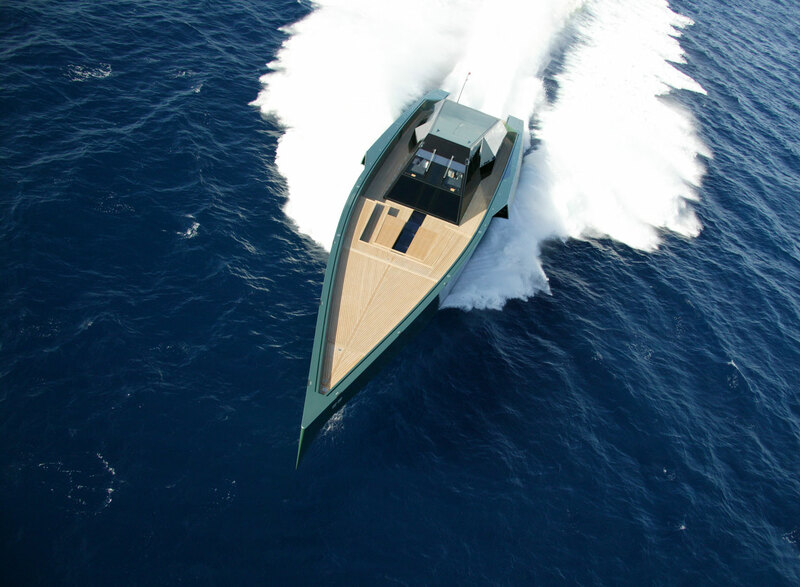 Plenty of power to leave everyone (way) behind...whatever your reasons may be.